Emma was 2 3/4 years back on January 7. Her 3rd birthday is going to be here before we know it! 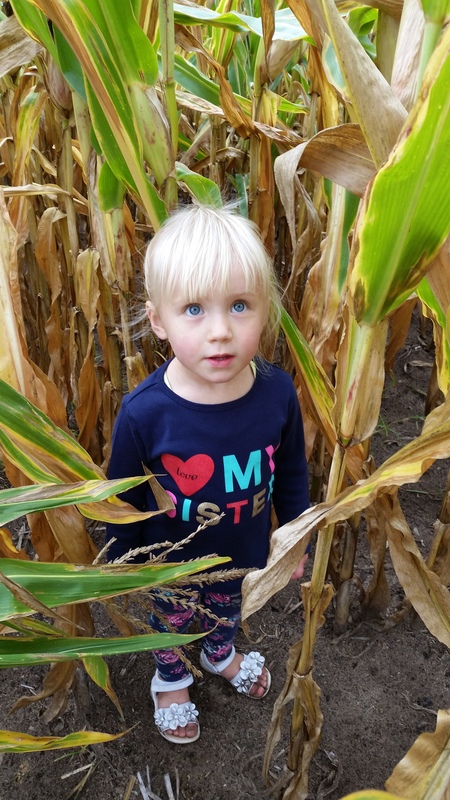 * Corn mazes — We went to two last fall (one local and one in KY) and she enjoyed both. 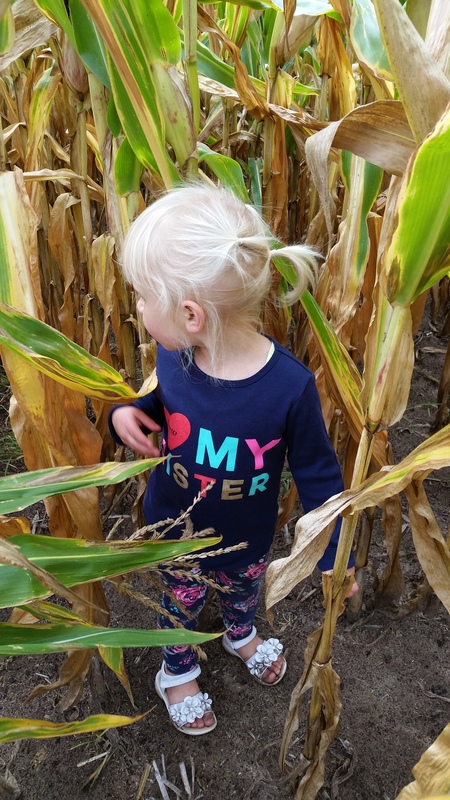 But at the local one, she walked into the corn (off the path) and wouldn’t come out, and at the one in KY, she went into the corn maze by herself so that we couldn’t find her for 10 minutes. Worst 10 minutes of my life. * Leaves — Emma loved playing in the leaves this fall! 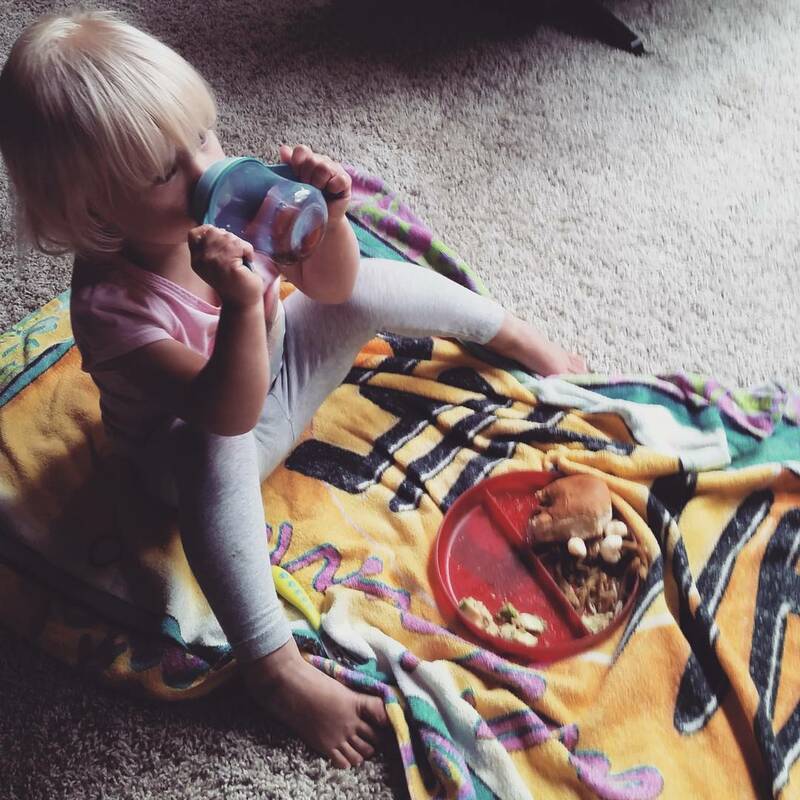 She liked laying on a big pile with a leaf “pillow” and being covered with a leaf “blanket”. She also thought it was a hoot to pick up piles of leaves in our hands, count to three and throw them in the air to rain on us. * iPad and movies — Emma LOVES watching shows on her iPad and has figured out how to use it all by herself. Her favorite shows are Sofia the First and Daniel Tiger’s Neighborhood. Her favorite movies are Monsters Inc, Frozen and Tinkerbell and the Great Fairy Rescue. * PINK — This girl is still obsessed with pink everything. 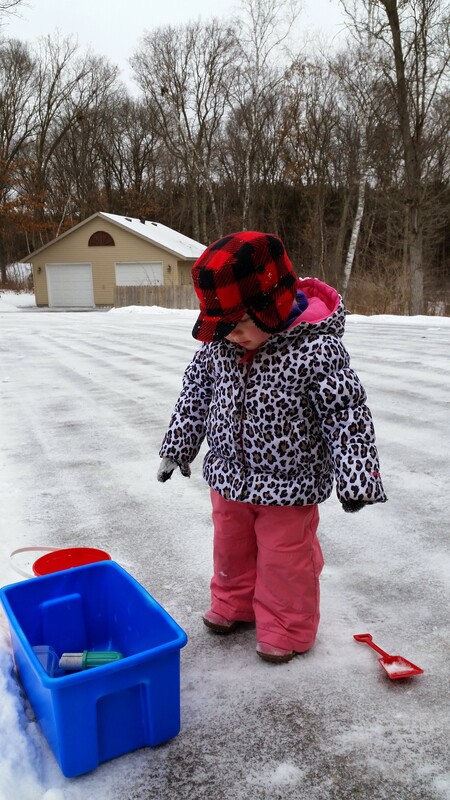 “Pink pony” (tail), “Pink poopy”, “Pink snowmobile”, “Pink truck”, “Pink daycare”, “Pink ice cream” are just a few of the endless list of things she tries to request in pink. For her birthday, we are going to throw her (and Annabelle) a “pink party” — everything will be pink. I think Emma will love it! * Dresses — Emma loves wearing dresses, which is funny because last summer, she didn’t want anything to do with them. She has gotten more use out of her summer dresses from last year during the fall and winter than she did then! Unfortunately I didn’t know this until after I bought her fall/winter clothes, so most of those have only been worn a couple times so far. Kids. 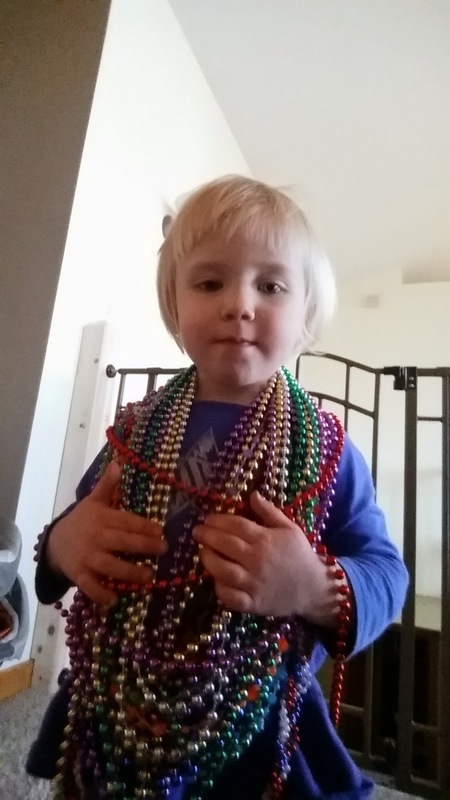 * Crafts — Emma has really gotten into playdough, painting, chalk, drawing, glueing, glitter, etc. She got an art easel for Christmas from my parents and has loved it. 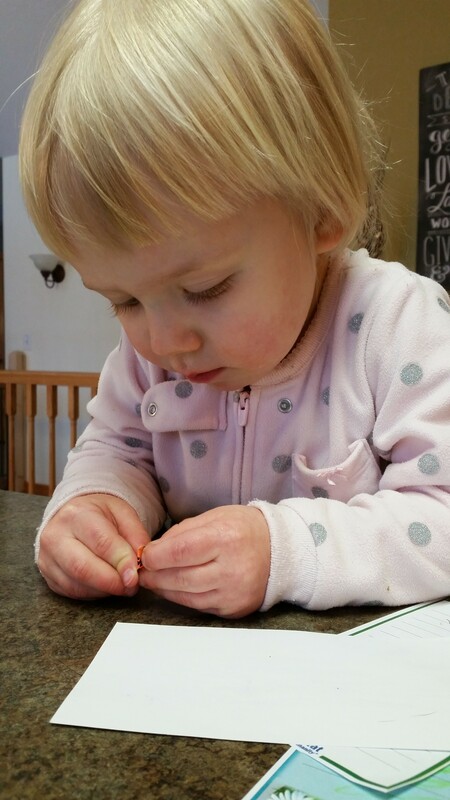 She also loves trying to cut with scissors but hasn’t completely mastered that yet. 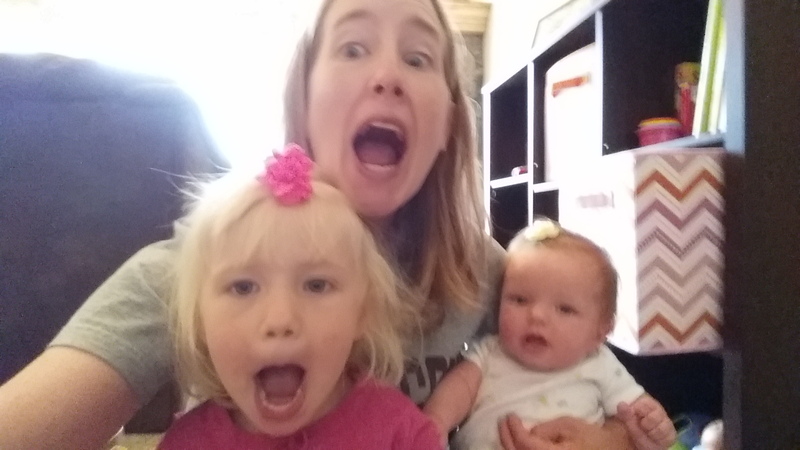 * Singing songs with actions — They sing songs at daycare and Emma has started singing them on her own. She knows about every third word but gets the right melody! And when we sing the songs, she’ll join it with the words she knows (she wouldn’t do that before, so it’s exciting to see progress!). 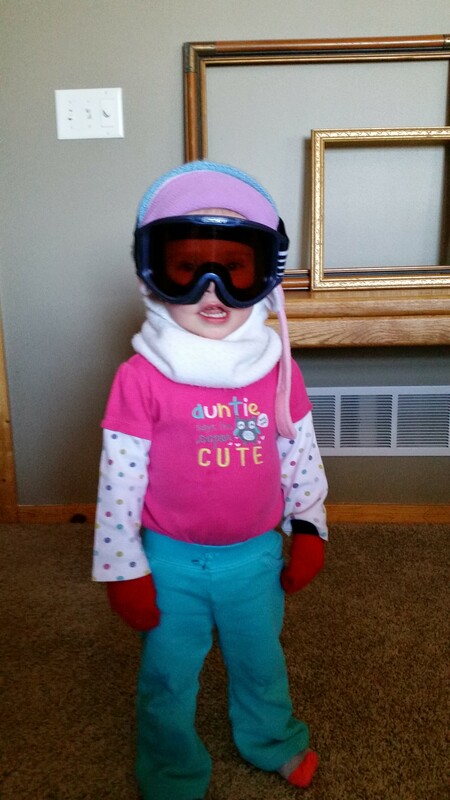 Her favorite songs are Slippery Fish, The Freeze, Sticky Bubble Gum, and Fire Truck. * Blankets — Emma now has 4 blankets on her bed (yet Travis has to go in every night before going to bed to cover her while she’s sleeping because she kicks them all off). She got a Frozen blanket for Christmas from Travis’ parents and she loves it. It has replaced her favorite blankie. 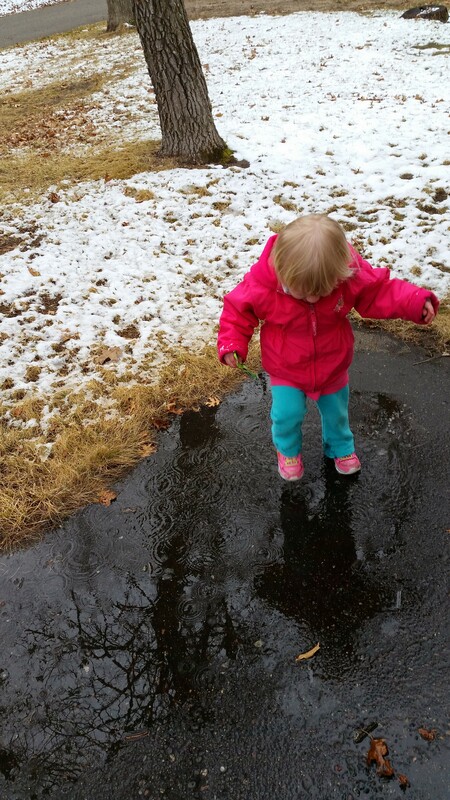 * Playing outside — Emma has been loving snow this year. Last year, she wasn’t sure what to do with snow and just stood in place, but this year, she has helped us build snowmen, make snow angels, and “eat” snow and ice (the clean stuff!). * Sweets — I don’t know any kid who doesn’t like sweets, and Emma is no exception! Her favorite candies are suckers and candy canes. She loves chewing gum, and has lately developed a love for “strawberry cake” (angel food with strawberries and cool whip). * Food — Emma’s favorite foods and drinks the past 3 months have been: mandarin oranges, apple sauce, yogurt, string cheese, baby’s purees and puffs, cereal, chocolate milk, peach tea, peanut butter, fruit snacks and animal crackers. Those are the things she requests the most often. But she also eats most vegetables (her favorites are broccoli and almost any kind of bean), noodles, deli turkey, quesadillas and toast. 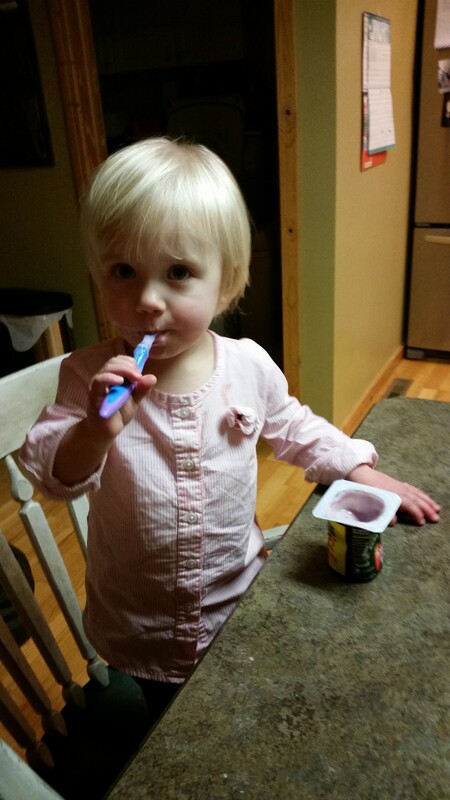 She eats pretty well for breakfast, lunch and snacks, but dinner has become quite the battle. She won’t eat unless she is sitting on one of our laps and we spoon feed her. I am hoping this is just a phase. 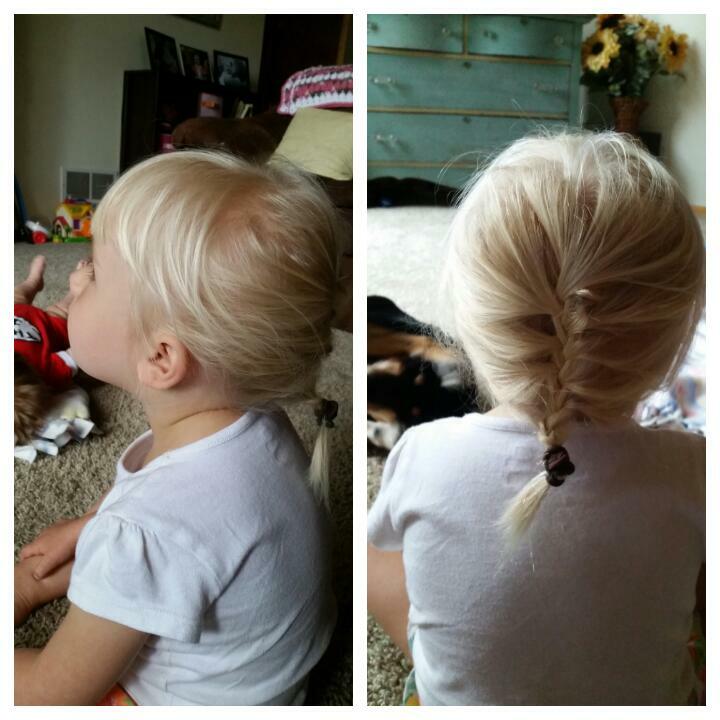 And that’s Emma at 33 months! 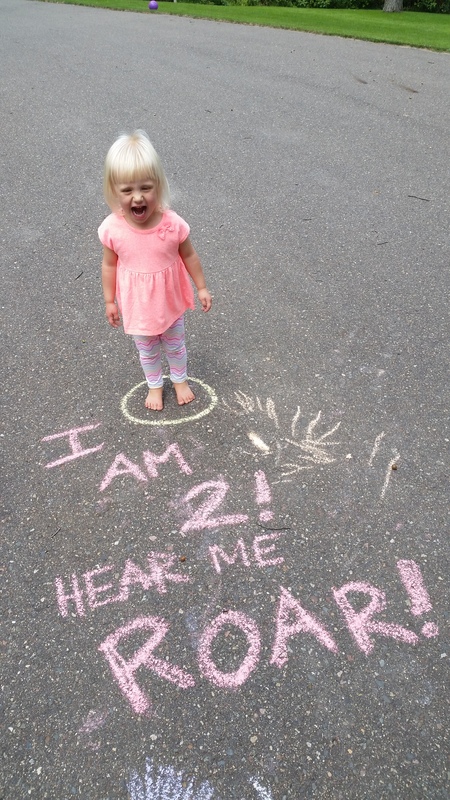 Emma is officially 2 1/2 years old today! She won’t go back to the doc until she’s 3 so these are just a few rough estimates by me, but she’s now 27 pounds and 3′ tall. 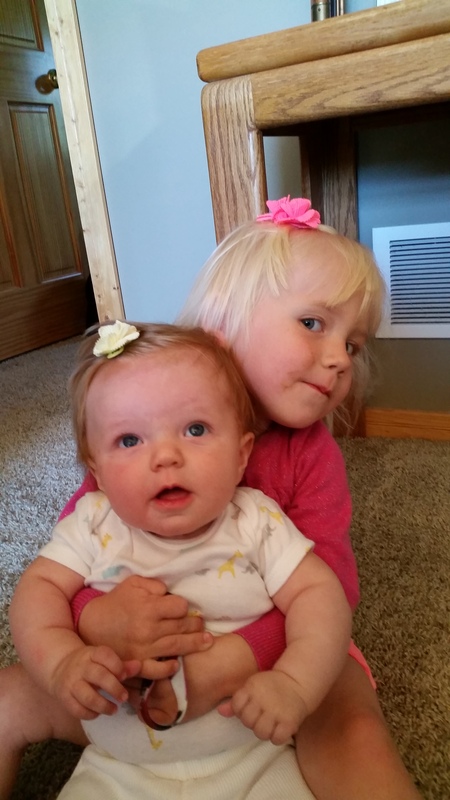 This BabyCenter percentile calculator puts her in the 10-20th percentile for weight and 25-50th percentile for height. * Peach tea — She’s obsessed. One day, we had run out of peach tea. 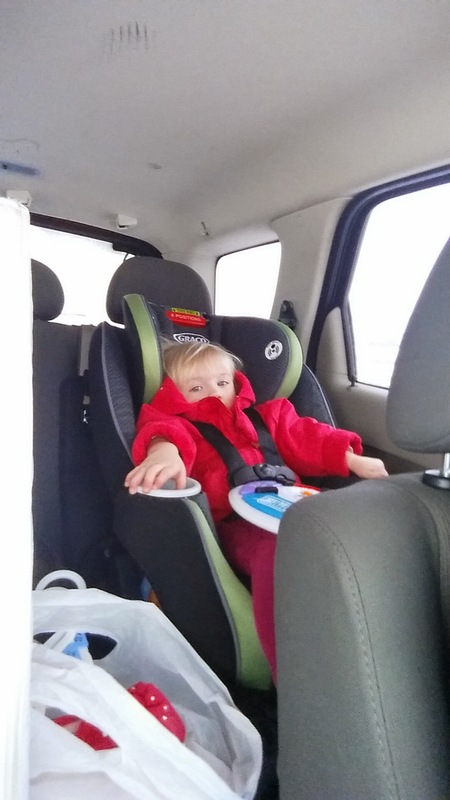 While we were playing outside, she wanted to get in the car and be buckled in her carseat. As I’m doing it (hey, she’s asked for weirder things), she says “Peach tea buy.” I laughed, and we went to the store and bought some more. Who was I to turn down that determination? * Beach — Even though it is no longer beach-going weather, Emma still asks to go on a regular basis. We went to the beach quite a bit this summer. Probably at least once a week. At the end of summer, we started going in the evening. 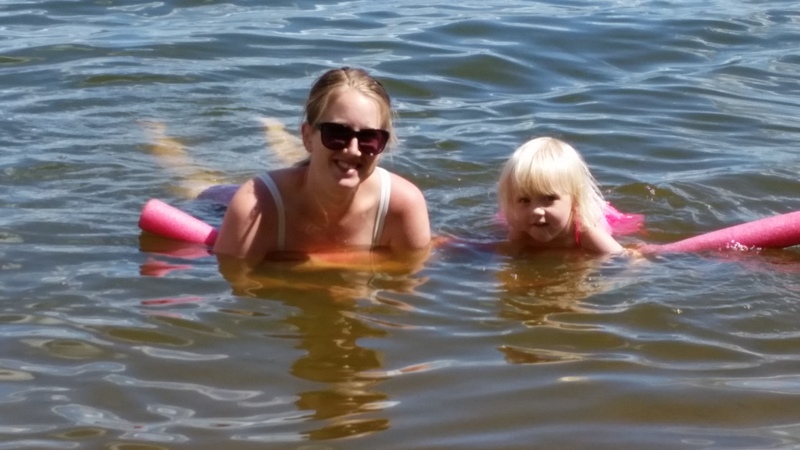 I loved it because it was still warm but we didn’t need sunscreen, didn’t need to worry about baby getting burned, didn’t need to pack food and we usually had the place to ourselves. * Being outside — In addition to the beach, Emma’s favorite things to do outside have been: gather acorns and leaves to throw in the river, ride her truck/trike/bike in the driveway and down the hill in our front yard, play at a playground or swing set, play with water and/or the hose, and go down to the dock and “poke the water” with a stick (there’s lots of algae and weeds to entertain her). 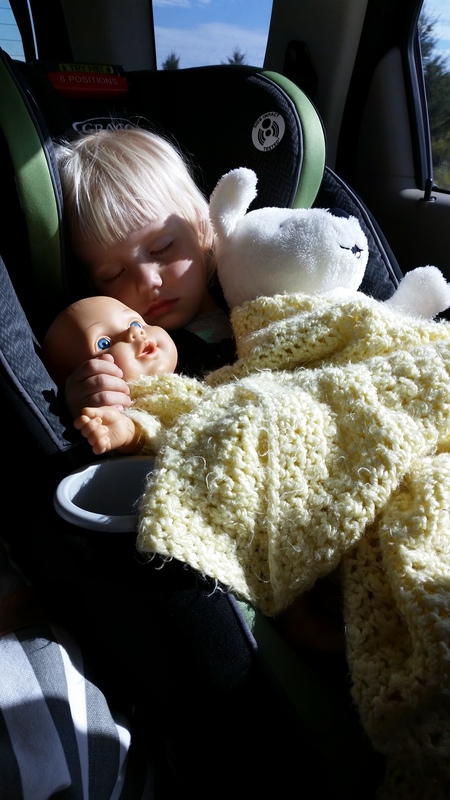 * Taking care of her baby — Emma has started wanting to take her baby doll with her everywhere. She wants baby to swing, go in the stroller, sit in the Bumbo, come in the car, and she’s even asked me to “tick Baby” at night (by that she means rubbing her foot or back). 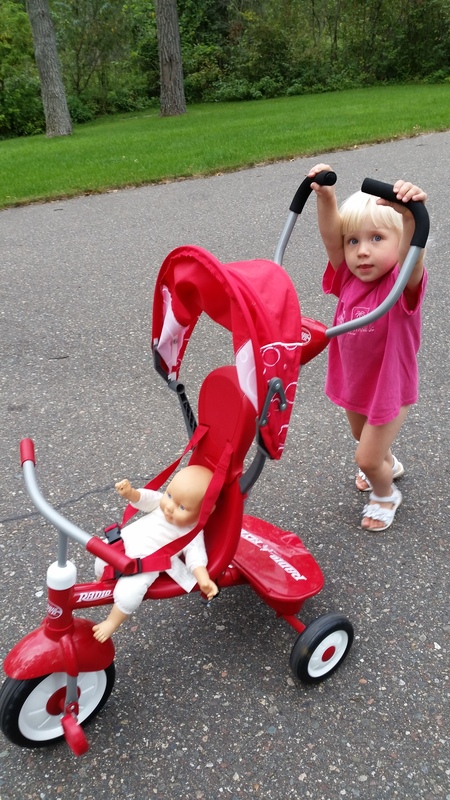 She also likes taking care of Annabelle, but since she is real, I obviously limit what she can do with Annabelle. * PINK everything — Emma is so obsessed with pink that she is adamant about getting or using the pink version of anything — even if it’s just a CD of 70s music she wouldn’t like. She even suggested that instead of replacing our roof with gray shingles, we should use pink shingles. She’s also started using pink to describe things that have no color, like the booms we can hear from artillery hitting the ground on the military base near our house (“pink booms”) or the beach (“pink beach”). What a silly girl. 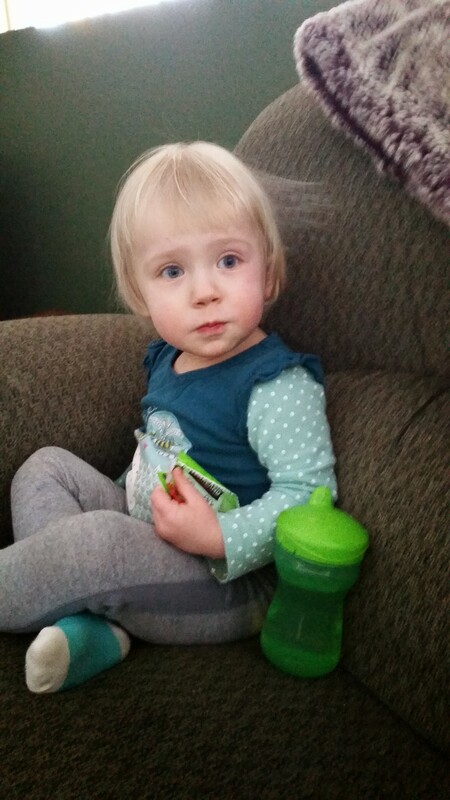 * Watching TV — Right around 27 months, Emma started getting interested in watching movies and shows on TV, and now she is obsessed. I have to admit that she watches quite a bit now because it’s just so easy to turn a show on while I’m nursing Annabelle and/or putting her down for a nap (and other times, I just don’t feel like fighting Emma over it). But she only sits down for about 20 minutes before running off to do something else, then comes back to watch for a bit, then runs off. She also stands right in front of the TV and jumps up and down during her favorite parts. Emma’s favorite movies/shows so far have been: Ratatouille, Cloudy with a Chance of Meatballs (1&2), Despicable Me 2, Minion mini movies (specifically Banana, Puppy and Training Wheels), Gnomeo and Juliet, Super Why, Horton Hears a Who, Finding Nemo, and Flower Power and Farm Feet from a Little People DVD we got with a toy. We’ve had success on the toddler bed front though! For the first 2-2.5 months that Emma was in a toddler bed, we laid with her on her bed until she fell asleep — which sometimes took 1.5 hours! It was not sustainable. Not only were we losing precious “me” and “our” time, we almost always emerged from her room frustrated that it took so long, and too tired to do anything but stumble to bed ourselves. 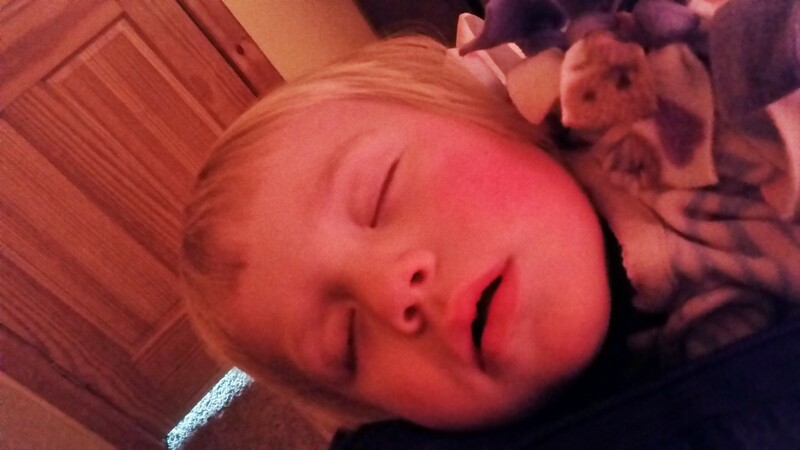 Finally, about a month ago, I decided enough was enough, so at bedtime, I explained to Emma that we wouldn’t be staying in her room until she fell asleep anymore, that she needed to be a big girl and go to sleep on her own again. Then I went through Emma’s usual nighttime routine of put on pajamas, drink peach tea, watch moons, brush teeth and rub her back/arms/feet/legs (what she calls “tick”). Then when we got to the point where I’d just lay there until she fell asleep, I explained to her again that I wasn’t going to stay until she fell asleep, but that I’d be right on the other side of the door, and would leave it cracked. I gave her extra kisses and snuggles and then went out of the room, leaving the door cracked. The first few nights and naps, I sat in the hallway outside her room, watching her on the video monitor until she fell asleep. She did get out of her bed a few times, but I just went back in her room and told her that she needed to get back in bed. I kissed and hugged her again, and left the room. That was it. We really haven’t had any problems since. Sure, there are nights when she rolls around in bed for an hour, putting her feet on the wall, and throwing stuff on the floor and then reaching for it with her body half off the bed (really testing the limits). But we are so happy to have “our time” back! 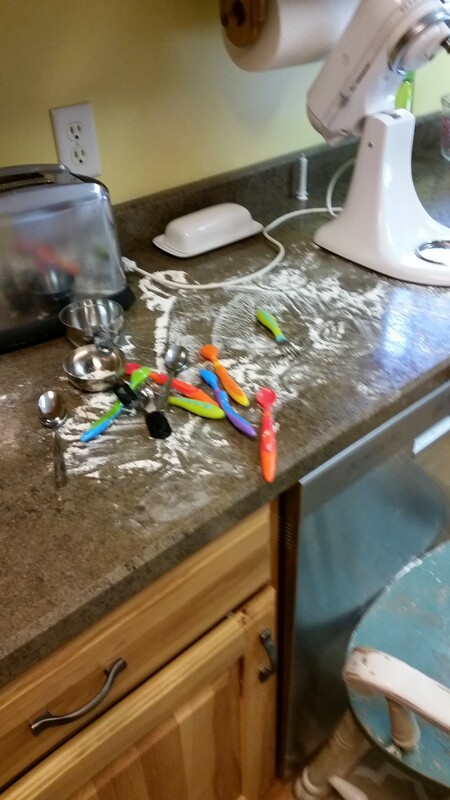 Now that it’s fall, we’re back into our rhythm of MOPS on 1-2 Mondays per month, daycare on Tuesdays, ECFE and speech appointment on Thursdays, with Wednesdays and Fridays open for play dates, errands or chilling at home. It’s a good mix for us! And that’s Emma at 2.5 years! Emma is 2 today! Since we celebrated her birthday with a party a few weeks ago, today will be a pretty normal day. Emma’s at daycare and I’m home with Annabelle. But I did let her have fruit snacks for breakfast and I’ll make her some of her favorite foods for dinner — probably macaroni & cheese with fruit. She’s been sick lately so her appetite is kind of unpredictable right now. * She now has 2 of her 4 2-year molars (the bottom ones). I am so ready for the other 2 to come in and for teething to be over! * Emma still has problems with getting nasty coughs that linger for weeks (she has one right now). It’s the worst at night, and over the past month, we’ve (well, mostly Travis) “camped out” in Emma’s room by sleeping with her on a mattress on her floor. We’re talking about bringing up her toddler bed so that it would be easier to lay with her while she falls asleep and then sneak out, but we haven’t yet. She just flops around so much in her sleep that I don’t know if she’d be able to stay in the bed. 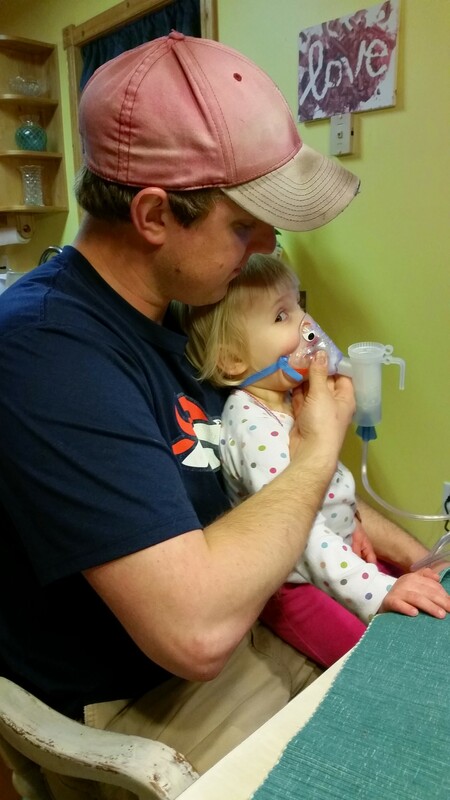 We’ve talked with Emma’s pediatrician about the possibility of asthma but she hasn’t been willing to confirm anything yet. 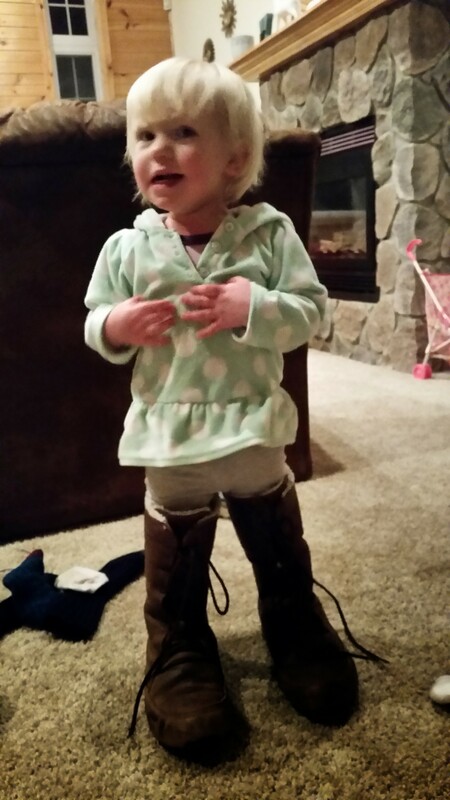 * Emma is still obsessed with shoes and socks, and has now added hats. 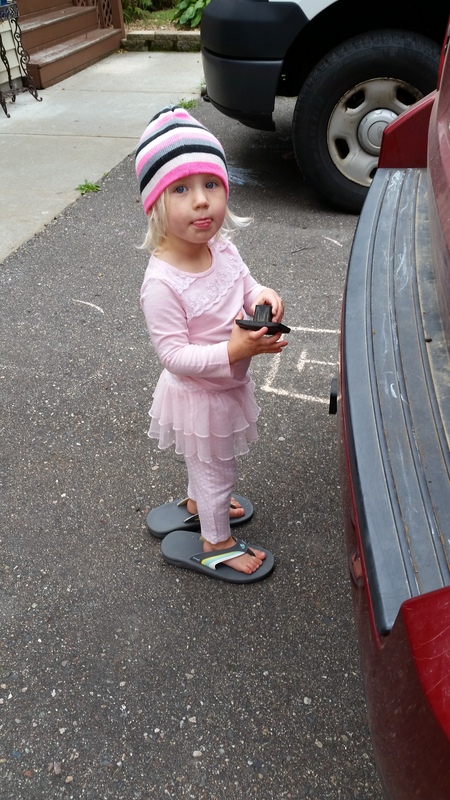 She changes her socks several times a day, wears shoes around the house for fun, and points out when Daddy’s wearing a hat, when Baby Annabelle is missing her hat (and runs to find it), and always need to find and put on her hat before going outside. * Emma’s vocabulary is increasing exponentially. It seems she has finally figured out how to attempt to say words that she hears us say. A few new ones since last month are: “hockey”, “purple”, “papa” for grandpa, “ucky”, “poopy”, “peepee”, “pease” for please, “chew” for juice, “ba” for bottle or ball, “da” for down, “up”, and “hop”. Her favorite words by far are “mommy”, “daddy”, and “baby”. She says them all day long at random times. * Emma still has practically no interest in TV. The only time she will sit and “watch” a show is when she has just woken up and wants to cuddle, or is sick. While I kind of wish she would watch a show every once in a while, I’m glad that Emma is more interested in reading books and playing outside. She has taken a liking to playing games on our tablet or smartphone though. I downloaded an animal matching game and she has gotten really good at it! She plays it for 5-10 minutes before getting bored. 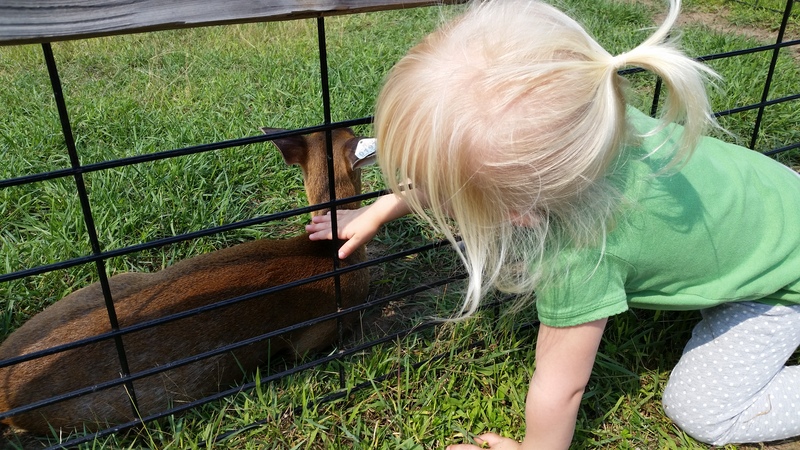 * Emma LOVES being outside. It doesn’t matter if it’s cold, rainy, windy, or nice outside. 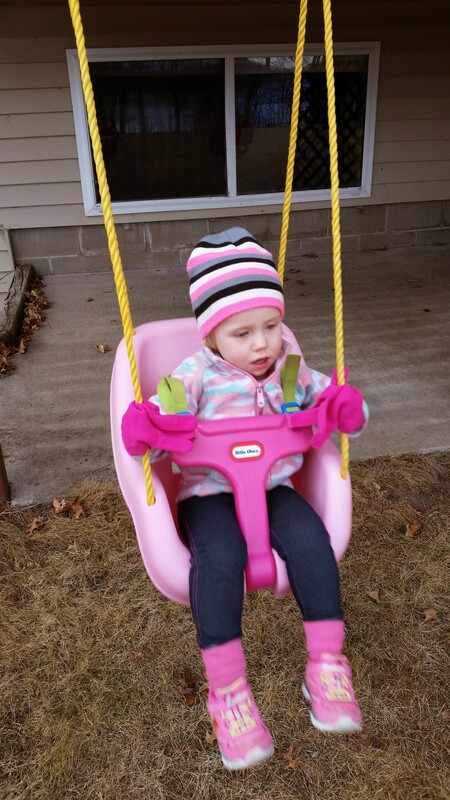 She enjoys swinging and going down slides, but she also loves just walking around picking up sticks and rocks, pointing out dog poop and ice, and “driving” the car. I can’t wait until the weather warms up and it’s also enjoyable for mommy to be outside! I am not as gungho as Emma is. * Emma still loves dogs and gets really excited about our dogs, as well as any other dogs she sees, even if they’re on TV. Whenever we go play downstairs, Emma wants the dogs to come with us. * Emma can jump with both feet off the ground, run like the wind, spin in a circle and dance. She loves bubbles too (what kid doesn’t?) and can sometimes blow bubbles with the wand (not without ingesting some of them though). 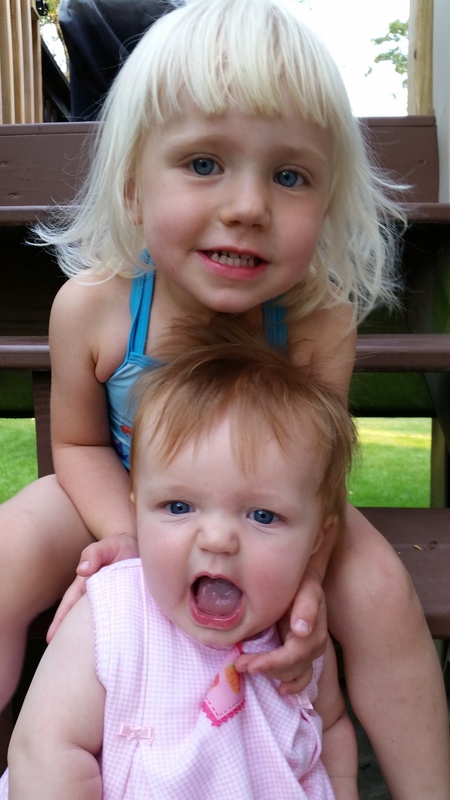 * Emma loves her baby sister (though she doesn’t love to share mommy) and gives her kisses, hugs and pats on the head. 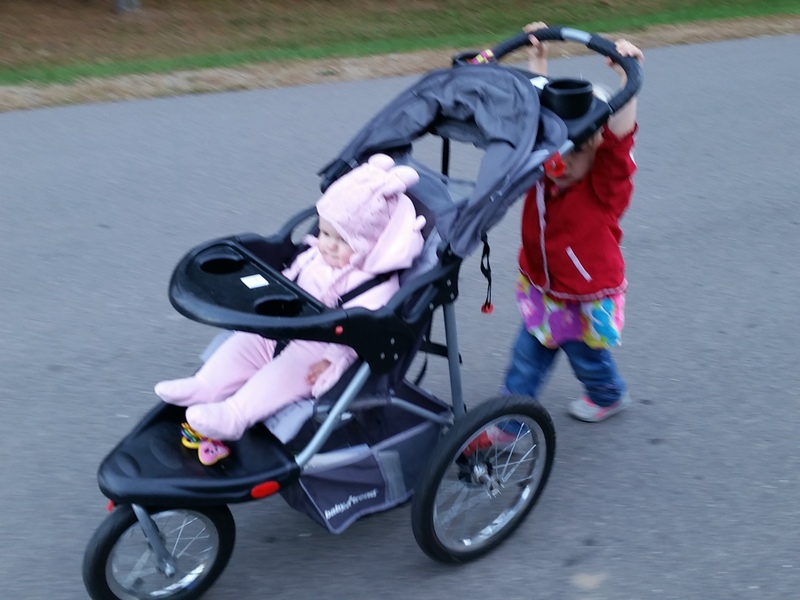 She has been gentle with Annabelle for the most part, but is too rough every now and again. Emma will also give hugs and kisses to those who ask her (at least most of the time). * Emma loves looking at pictures of herself and people she knows on Facebook and my computer. * She loves when we sing her songs and has started to sing the melody of ABC herself (as a request that we sing the whole thing). 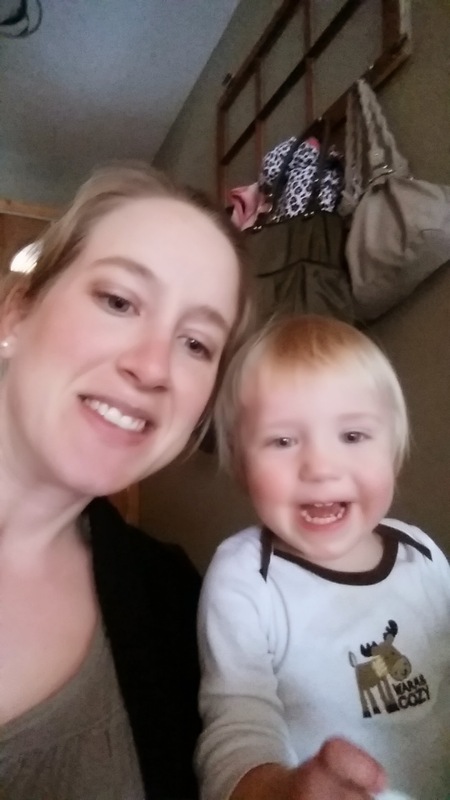 Her favorites are ABC, Itsy Bitsy Spider, Wheels on the Bus, Choo Choo (a song from ECFE), and Baby Blowing Bubbles (from a CD that her speech therapist has). * Emma has started to love wearing “jewelry”, as well as pointing out and inspecting other people’s jewelry. She points to my earrings and says “E” for ear and/or earring. * Emma is OBSESSED with drawing, especially with markers. She has a little table in a corner of our kitchen/dining room with her crayons, markers, stickers, paper and coloring books, and she spends hours there doodling, covering things with stickers and drawing on herself (mostly her hands, which I think is really her trying to trace her hands like her grandmas have helped her do). 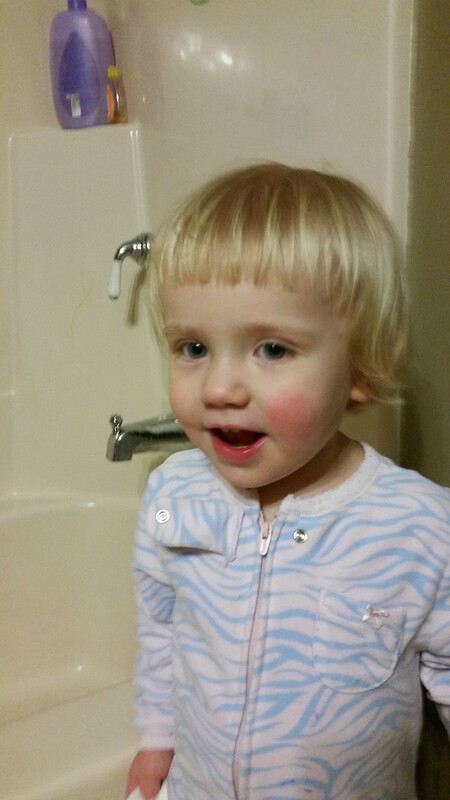 She also loves drawing in the tub with special markers and crayons made for bath time. She has been pretty good about only drawing on paper, though she has doodled on some of her toys, gotten marker on her clothes and accidentally made marks on some furniture. 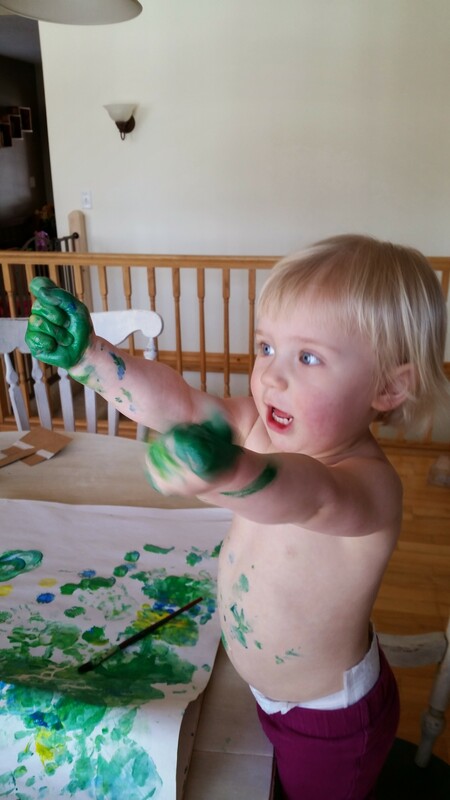 The washable markers come out of almost everything though, which is good. She has also decorated many things in stickers, including the floor, sliding glass door, dishwasher, books, other people and herself. * Last but not least, it would be remiss of me if I didn’t mention anything about what a strong-willed, determined little girl Emma is. She is very curious and busy, and gets into a lot of stuff she shouldn’t (not dangerous things, just things we don’t want her to play with like our camera, cords, phones, chapstick, wallet, etc). This is even worse now that I have a baby to nurse several times a day. 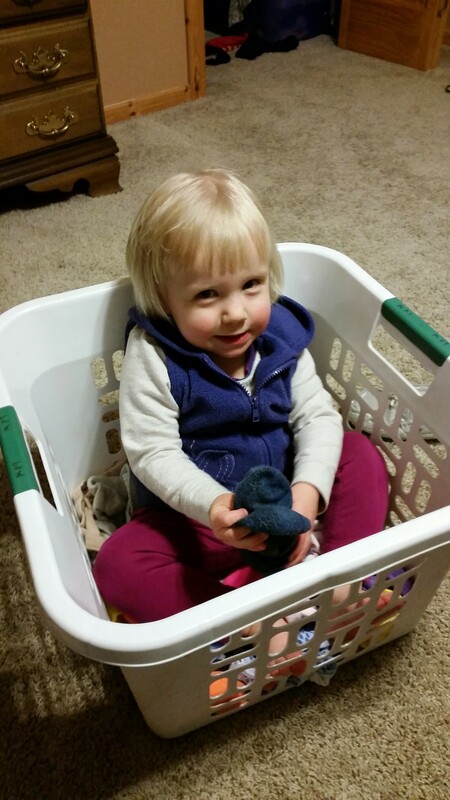 Emma has also started to be aggressive when told no (throwing toys and hitting) and throws tantrums frequently over seemingly small things (like being told that we can play in the car later but not right now). 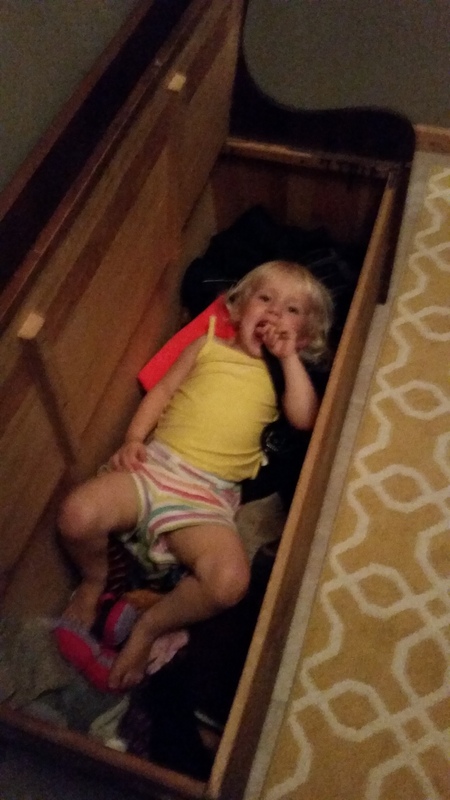 I realize that this is pretty normal toddler behavior, and that it’s a phase that we have to coach her through and have patience with, but man it is hard! I frequently find that I lack the patience I need to respond well. 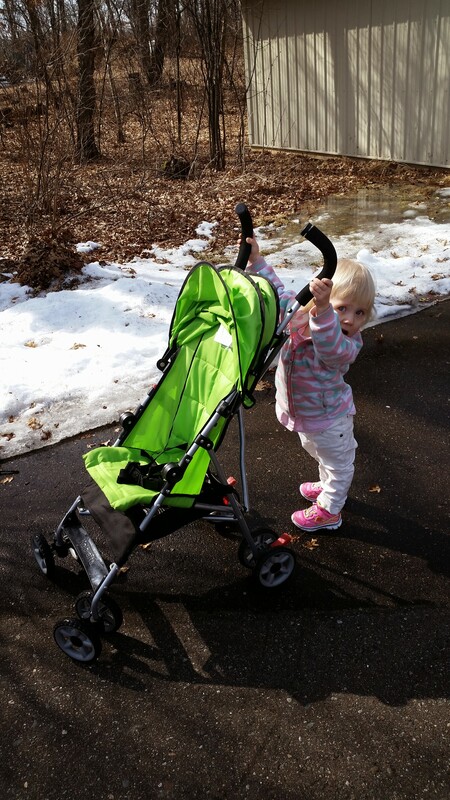 There are days when I feel like all I do is tell Emma no and listen to her throw a tantrum. On those days, I try to take a break from whatever I’m doing and just spend time with Emma, either playing with toys or cuddling with her before she goes to bed. I need those positive interactions to keep my heart from becoming bitter. 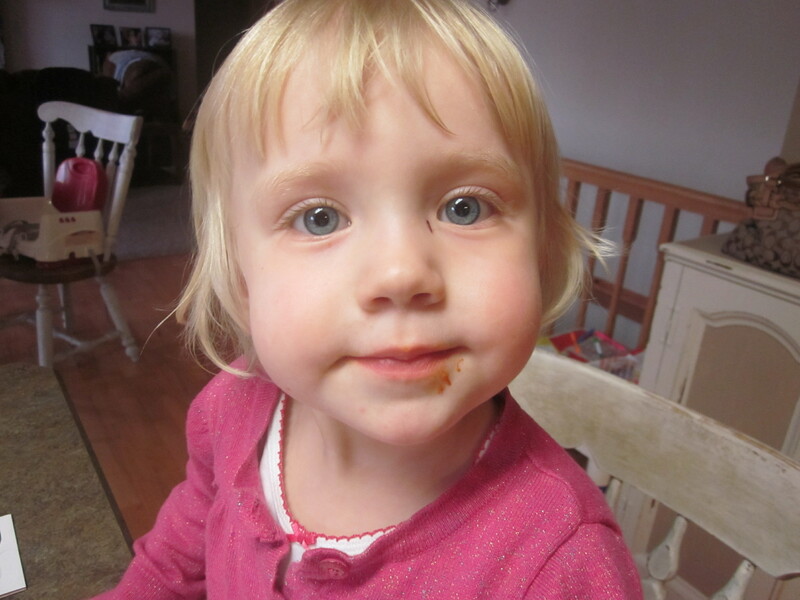 Anyway, that’s Emma at 2 years! In just a month, Emma will be TWO years old! How is that possible? This past year went by really quickly. It’s amazing to compare Emma now to pictures from her first birthday — she was still such a baby then! Now she is full-blown toddler. 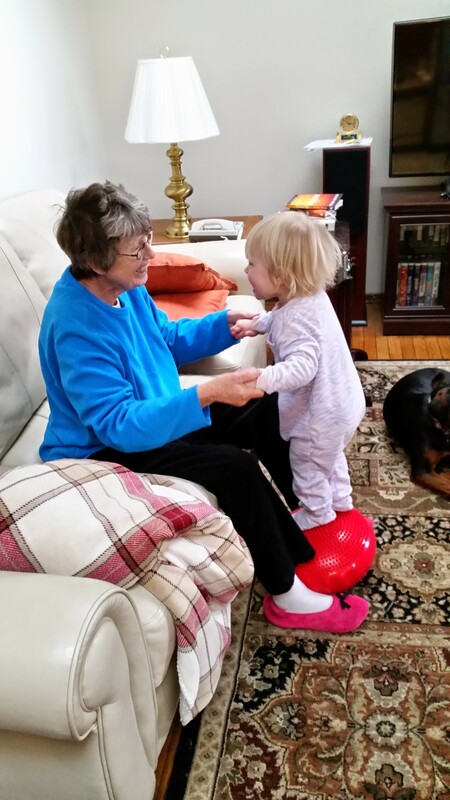 Wearing adult shoes (still) — this actually seems to have improved her balance a lot! Being crazy! She loves running around our basement, chasing the dogs, spinning in circles and jumping. Emma has continued to make great progress with her speech. She can now point to almost every body part we ask her about. She understands increasingly more complex requests, like when we ask her to find the matching sock or put the red block away. She has started to say hi and bye often, especially when we prompt her and sometimes even when we don’t. Her favorite words right now are “knee” (because she got an owie there a while ago), “ice”, “puppy”, “mom” or “mommy” and “uh oh”. She also says “wah wah” for water, “shoes”, “daddy” or “dada”, and “nye” for bye. 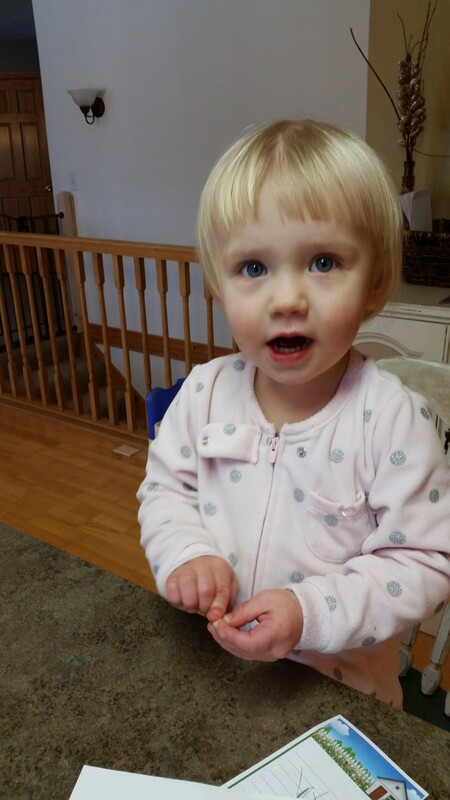 Just in the past week or so (I think), Emma got her first 2-year molar! Her sleep habits haven’t really been any worse than normal (though she has by no means been sleeping through the night every night) so I didn’t even realize that she was getting another tooth. 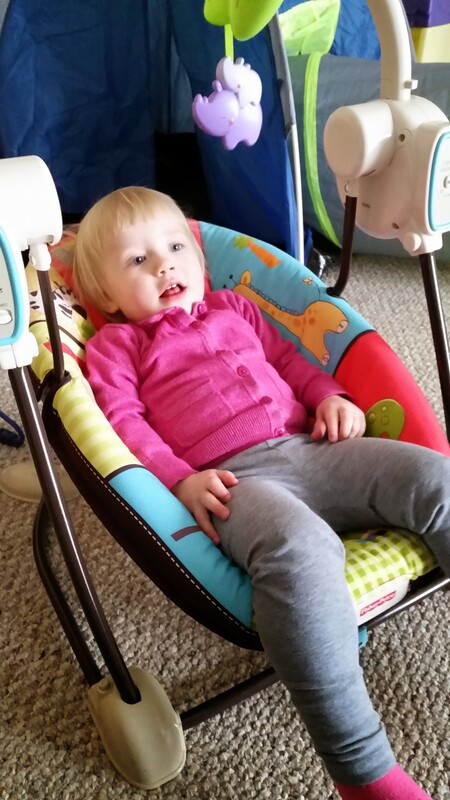 We bought Emma the Fisher Price Healthy Care Booster Seat to replace her high chair and she loves the seat so much (because of the buckles!) 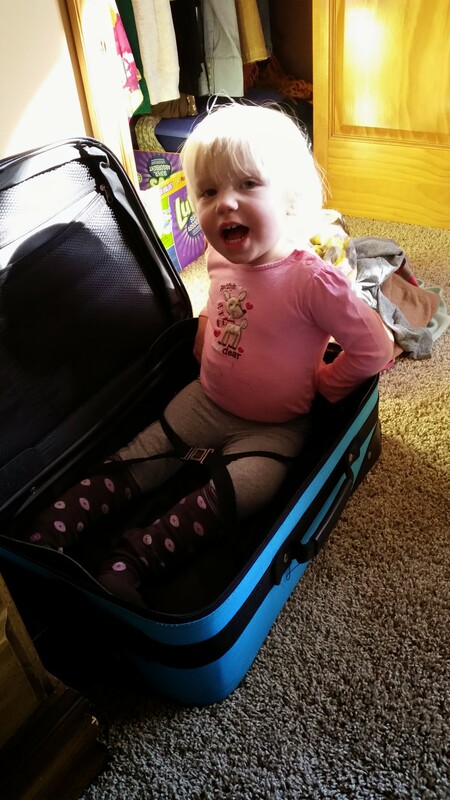 that she will voluntarily climb up into it for meals and buckle herself in all on her own. My parents have the same booster so we knew she liked the chair. Money well spent. 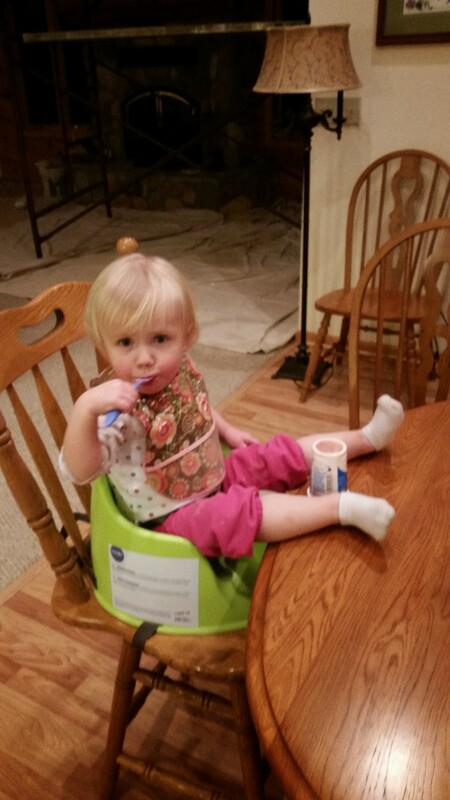 Though when we take Emma out to eat at restaurants now, we don’t even ask for a high chair. We request a booth and let Emma stand or sit as she desires. This was learned after a particularly hairy dinner at Olive Garden back in January. She is just go-go-go all the time! 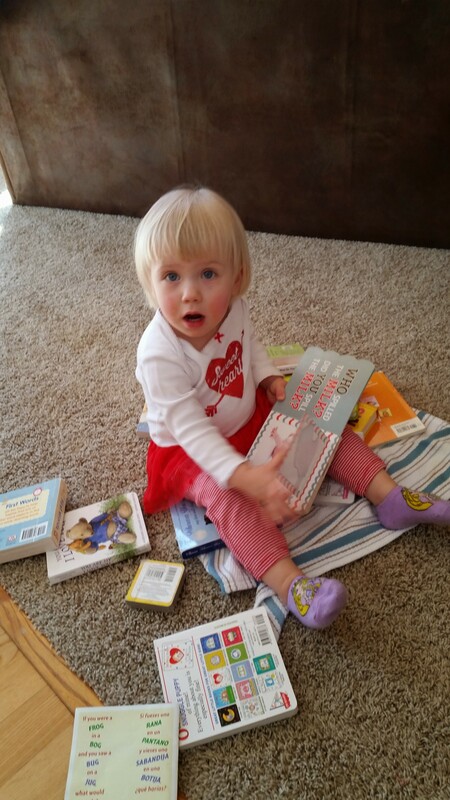 Emma definitely has the typical toddler behaviors of throwing things and hitting when she gets mad. We’re trying to coach her to ask for help instead of getting frustrated, and that we don’t ever hit or throw toys at people or dogs, but it’s a challenge. I’m sure other parents understand this. 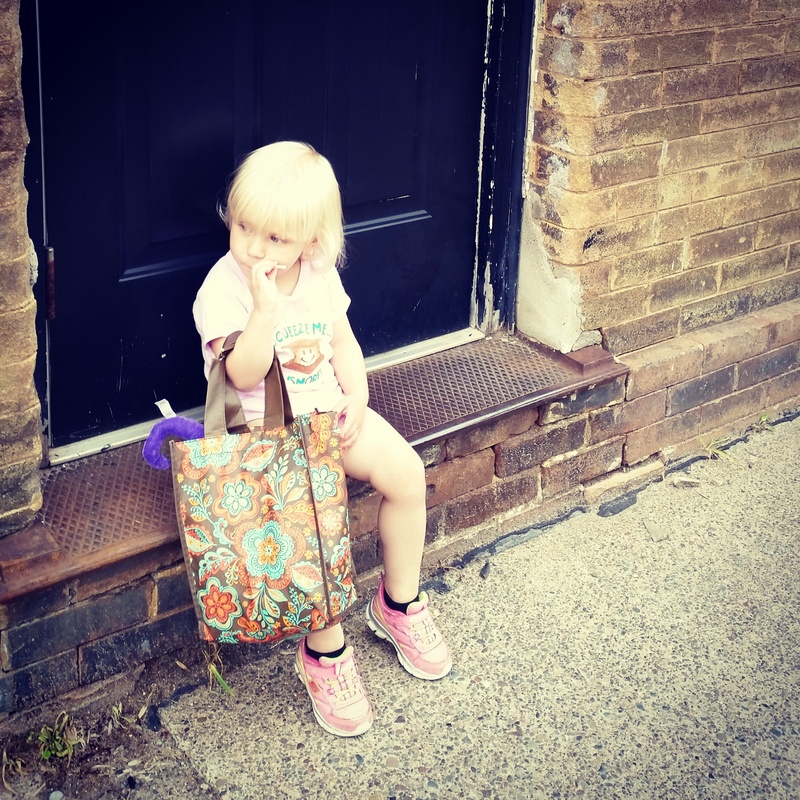 After a playdate this week, I realized that we should start teaching Emma how to say “I’m sorry” so that she can apologize to her friends when she either intentionally or unintentionally hurts them. She does get concerned when one of her friends is upset — though she doesn’t know how to communicate that with words. 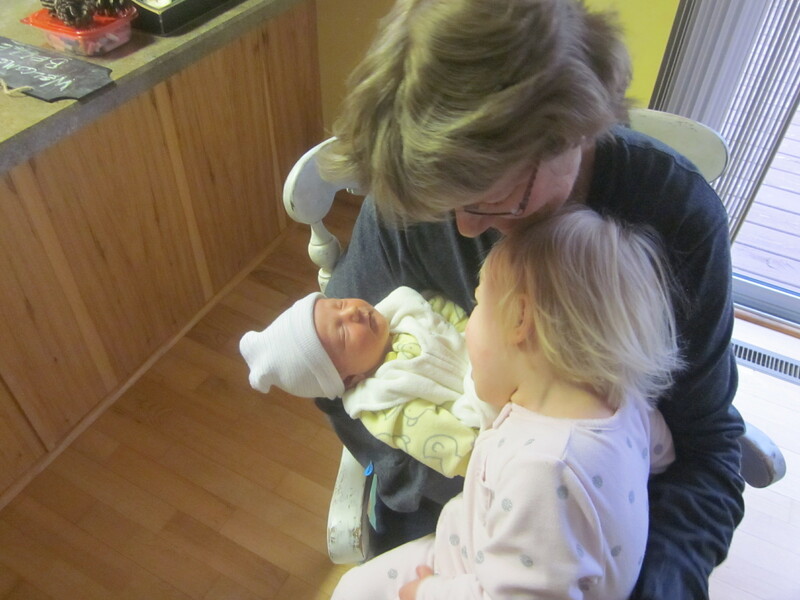 Last but not least, Emma got a new cousin this month! My oldest brother and SIL had their baby boy yesterday. Such a cutie. Can’t wait to meet him! I’d be planning a trip down to visit if I weren’t expecting a baby soon myself. 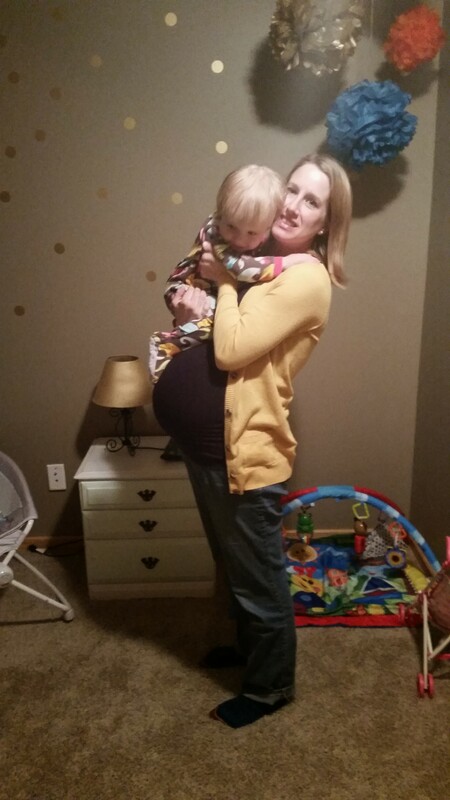 They’re a 13-hour drive away so it’s a little far to go at 36 weeks pregnant! Hopefully sometime this spring or summer though. We’re having Emma’s 2nd birthday party about 2 weeks early so that we don’t have to worry about Bisky Junior crashing the party (since my due date is the day after Emma’s birthday, and the weekend right before her birthday is Easter). I finally sent out evites and bought Emma’s birthday shirt today. We’re doing a puppy theme and keeping things fairly low key with pizza, fruit, puppy chow and cupcakes decorated with paw prints. We invited our immediate family, a few of Emma’s friends and are planning to have the kids decorate paper dog ears that they can wear. Other than that, it’ll just be letting them play and eat! Should be a good time. 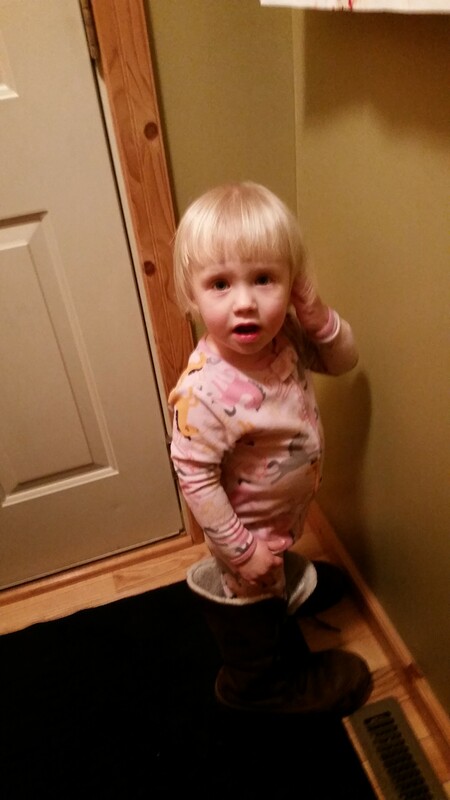 Emma’s obsessions this past month have been eating yogurt and wearing adult shoes around the house. 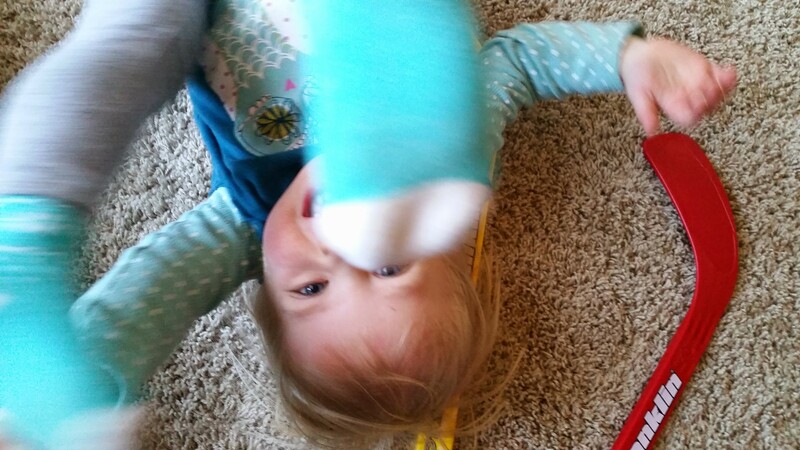 She also loves wearing Mommy’s socks instead of her own. 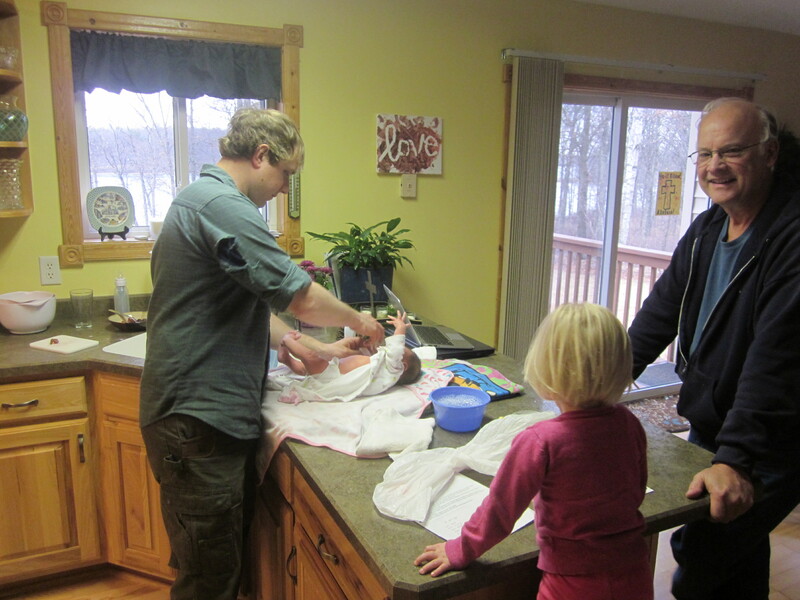 The ‘water play in the kitchen sink’ obsession has mostly run its course, which I’m thankful for. It was getting old! Emma’s still holding strong with naptime around 2 and bedtime between 8 and 9. She does sleep in until 7:30 or 8 on a regular basis now though, which is nice. 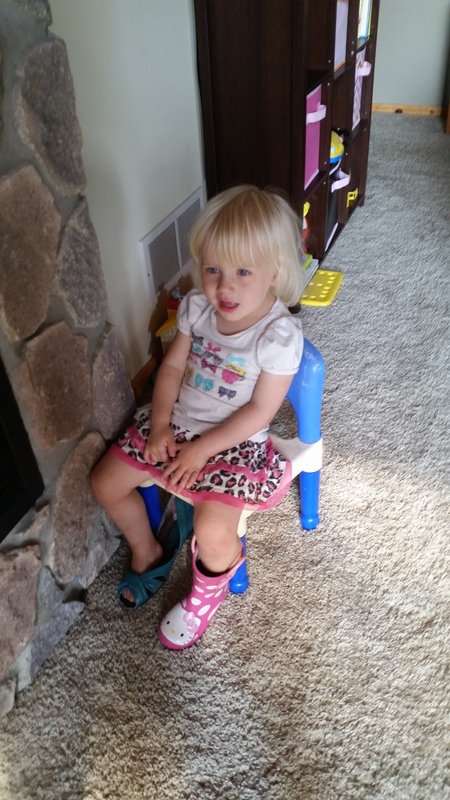 Her eating habits are mostly back to normal and she will sit in a booster seat at the table (as we discovered at Grandma and Grandpa’s house) so we plan to buy one of those and put her highchair away until Bisky Junior needs it. 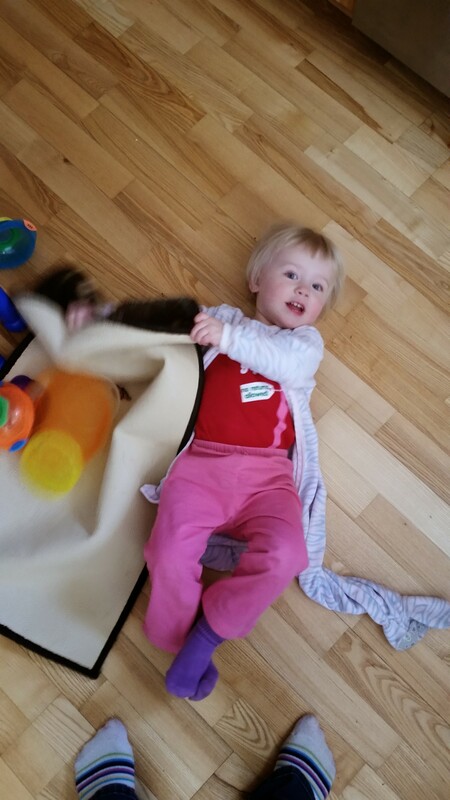 Emma is babbling up a storm now, and trying to use words at daycare. The things she says most often are “Ah na” for all done and “Meh meh” for more while signing. Other words she has said at least a few times are “Bubble”, “Emma”, “hot”, “on”, and “off” (osh). And her favorite non-word thing to say is “Ah dubba dubba dubba dubba.” Her little voice is SO CUTE, it makes me melt every time. Our schedule is finally back to ‘normal’ after the holidays, which has been nice. It helps me to have places to go and things to do. During Travis’ most recent work trip, Emma and I went down to Rochester and spent the week with my parents. It was nice seeing them. 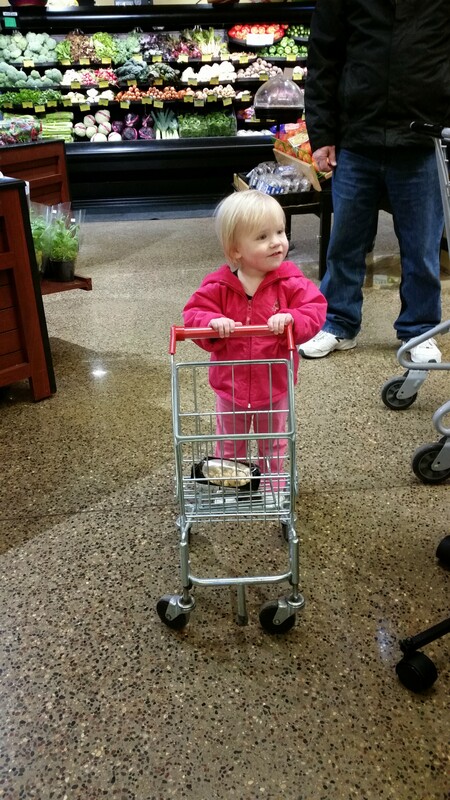 Emma got to push her very own shopping cart around the People’s Coop — making it the most exhausting, chaotic grocery shopping trip I’ve ever been on! She loved it though. Emma also found a balance disk to bounce on, which she thought was extremely entertaining. 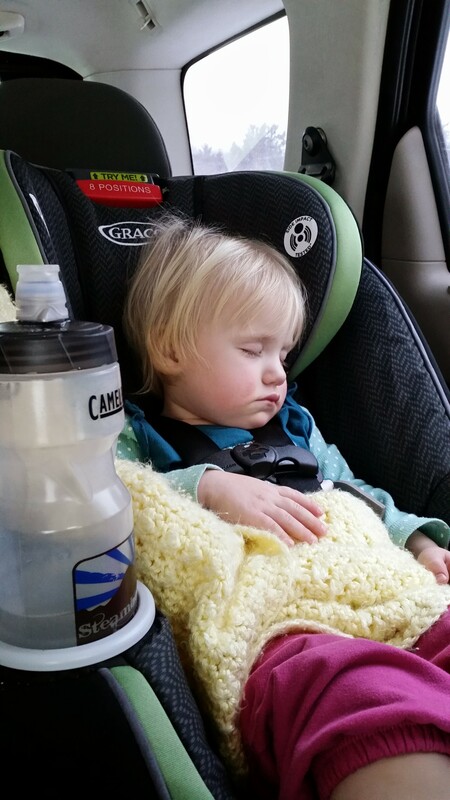 Little girl wore grandma out! 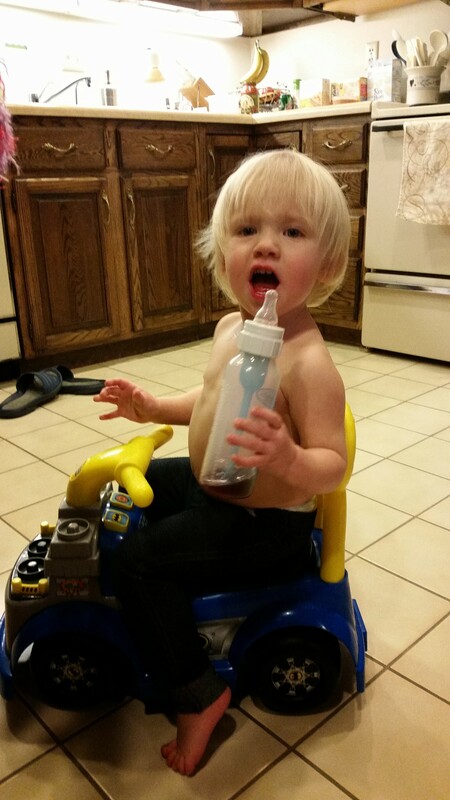 I forgot to bring Emma a sippy cup so she had to drink juice and milk out of her bottles. 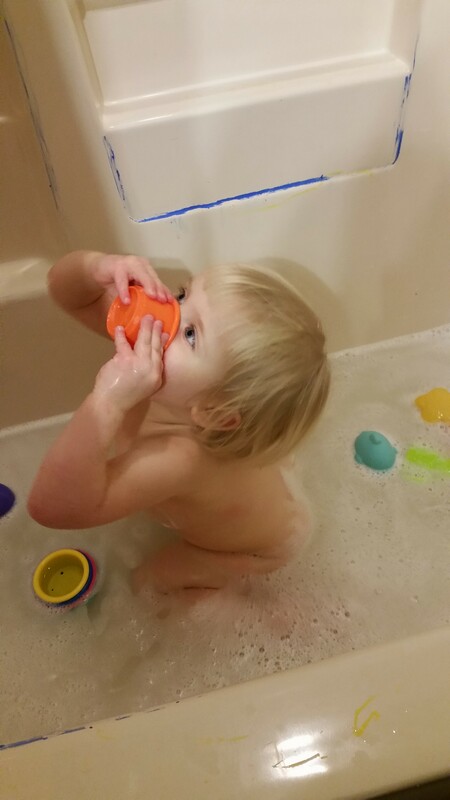 I think she actually prefers that… so it probably goes without saying that weaning her off her bottle was a no-go. She was just cranky all the time so I finally caved. We’ll try again later. 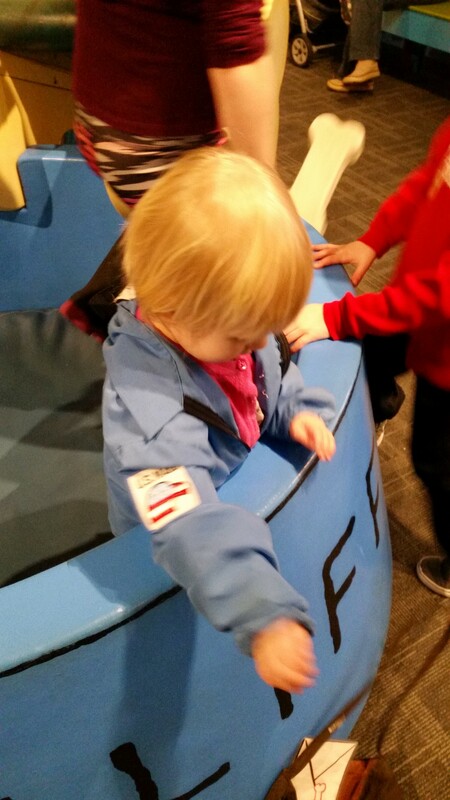 Emma and I went to the Children’s Museum on Saturday, and she had a blast running around and ‘playing with’ the other kids. 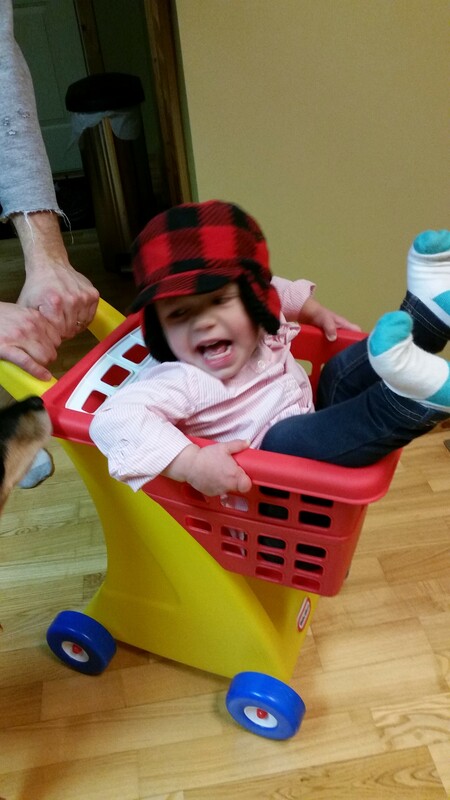 She dressed up like a mailman for about 30 seconds. 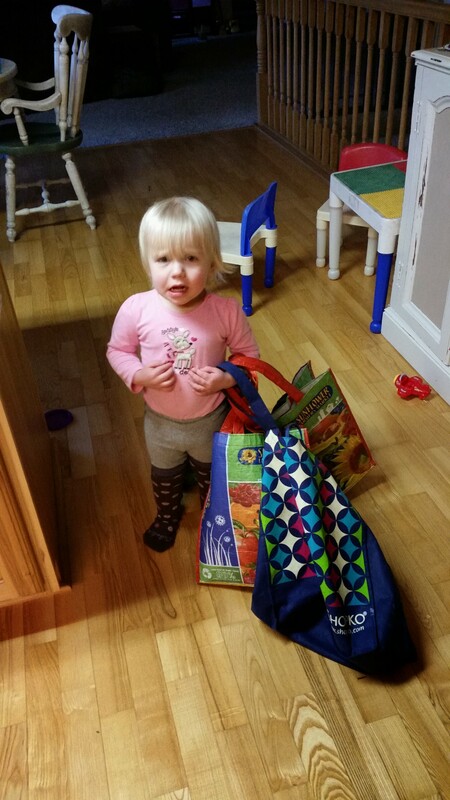 Playing with grocery bags and wearing Mommy’s socks. That’s what we do. 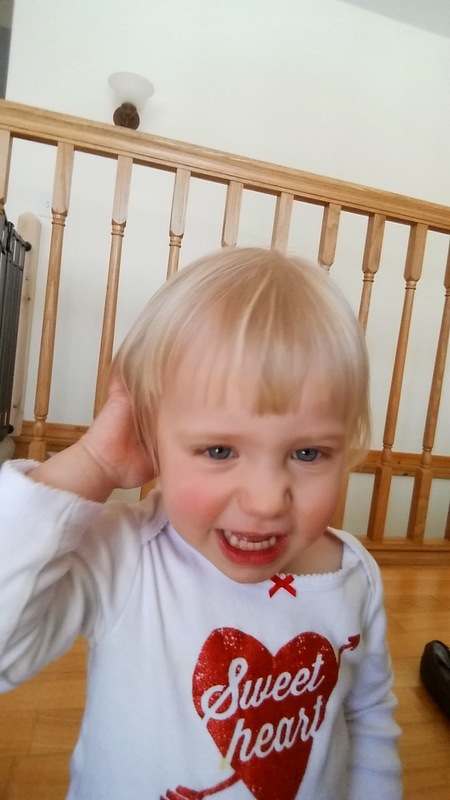 Emma got her 3rd haircut this past week, and even though we went to the same lady as we did the 2nd time (and she did a good job then), Emma totally ended up with a bowl cut this time. I think she looks like a Friar. Oh well. At least it’ll grow back out, right?